The Presbyterian Church in Taiwan, long-standing partner of RCH, issued a prophetic call to journey together in pursuit of justice and peace for Taiwan and the Asia Pacific. RCH echoed the call positively. 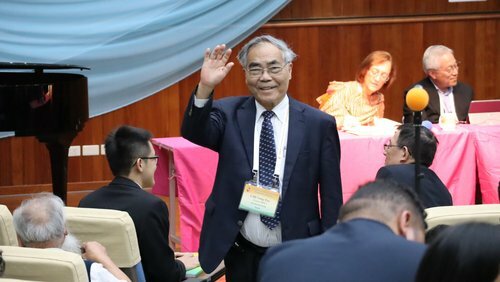 The first meeting of the Taiwan Ecumenical Forum, organized and hosted by the Presbyterian Church in Taiwan, took place between 28-30 November at the Presbyterian Bible College in Hsinchu, Taiwan. 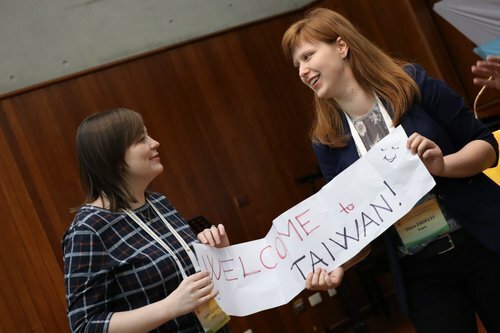 Around 150 participants from across Taiwan and other parts of the world gathered together for the Taiwan Ecumenical Forum (TEF) to journey together with the PCT in pursuit of justice and peace for the people of Taiwan and the Asia Pacific. Among the invited ecumenical participants, RCH representatives were present as well. „TEF aims to strengthen and widen ecumenical participation in the pilgrimage for justice and peace in North Asia with Taiwan as a case study in conflict management and resolution; to serve as a platform of common ecumenical action and advocacy in solidarity with the PCT, as it seeks national dignity, national sovereignty and a Taiwanese society built upon a solid foundation of love, justice and mercy; to mobilize and broaden ecumenical and Church support for the transitional justice process for the rights of indigenous peoples and victims in the context of the global ecumenical commitments; and to support PCT priorities for renewing relationships with the Chinese churches and the China Christian Council.” - reads in the TEF Press Release. Attendees had the chance to learn more about the history and current international status of Taiwan and listen to testimonies from indigenous people of Taiwan as well as on the White Terror Area. 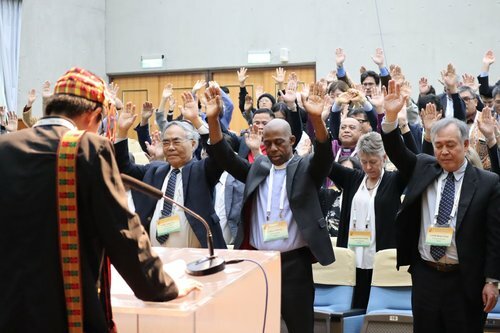 Bible studies, panel discussions and ecumenical responses helped the ecumenical partners to gain a deeper understanding on the complexity of the challenge which the people of Taiwan and the Asia-pacific are facing. The RCH and the Presbyterian Church in Taiwan treasure a long-standing partnership for more than twenty years. The intensive partnership is also demonstrated in mutual visits at each others’ Assemblies and consultations, such as the RCH’s participation at the current Forum and its Pre-Youth Meeting. Recognizing the importance of the involvement of young people, RCH youth delegates have attended the PCT’s I Love Taiwan Mission program earlier. The same way, during the biannual Starpoint youth festival, the RCH regularly hosts PCT youth who always bring with them viewpoints that help our local youth view the church in new and meaningful ways. The TEF was the first meeting and the opening for a series of meeting in the framework of the Forum. Ecumenical partners are committed to accompany PCT in a meaningful way in this journey. It is a constant inspiration for churches how PCT is dedicated to speak up in their current context and serve the wider community in Taiwan as their faith calls them to be an ambassador of reconciliation. A reflective report, drafted by the Listening and Discernment Group (LDG) was presented for consideration. The moderator of the group, Rev. John Proctor, of the United Reformed Church, UK, said that the report mainly addresses the Steering Group of TEF to offer sign posts, directions and questions to assist its task to plan the future work of TEF, and to “help the Steering Group to steer.” The report commended the PCT for its commitment to justice, partnership, friendship, unity, resilience, candour and for taking the voices of youth seriously. Gender justice, climate justice and economic justice must be a constant challenge in shaping the Church’ wholistic witness, is one of the 13 suggestions and recommendations to the Steering Group. For more detailed information read all relevant Press Releases of the TEF. For more content about the TEF consultation, visit the Facebook page to access Videos, photos and more. In light of International Romani Day, Reformed Roma communities in the Carpathian Basin gathered to worship and pray for one another. This year, reconciliation is the focus of the event.